We here at PK Auto Design pride ourselves on being connoisseur of forged, being the perfectionists that we are we aim to provide our community of automotive lovers, grease monkeys and speed demons with proper knowledge, a commitment to perfect and the best products and service in the industry ! We are proud to announce that we are one of the #1 Dealer Distributors for BC Forged Wheels. Why BC Forged wheels? 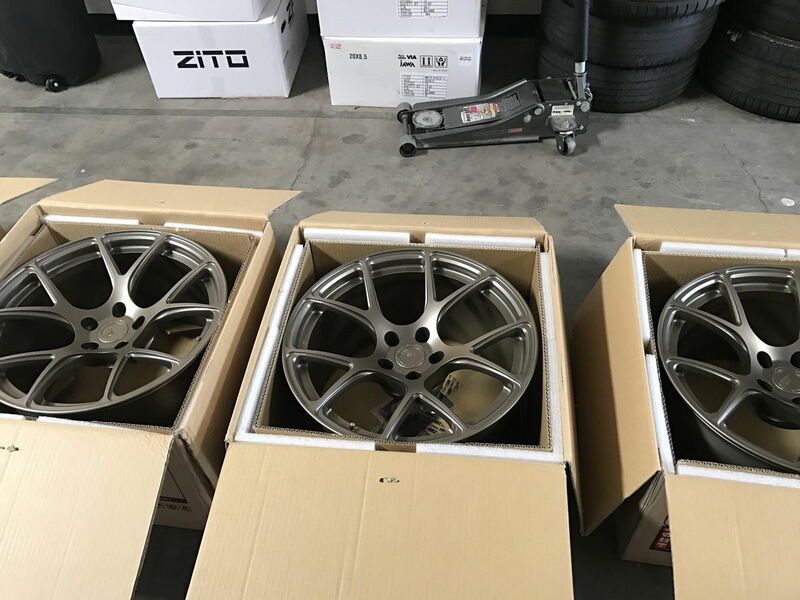 The team at BC Forged North America are comprised of some of the most knowledgeable production engineers, fitment specialists and all around car guys. What this allows for us to do us to provide you with quick fitment knowledge, great production timing and the end result a Huge Smile on your face. Another fresh set ready for a happy client. Its a spa day when wheels come to us ! BC Forged HCS04S getting some Road Force treatment on our industry leading balancer. Fresh and ready for action. Ready to destroy the asphalt. Big boy toys require big League fitment.